Squalane oil is well-known for its skin-loving properties. It's popular in luxury skincare because it has a lightweight consistency that absorbs quickly. We show you how to make your own recipe without the high price tag. Squalane oil is combined with grapeseed oil, vitamin E oil, and agave extract to create a recipe that's great for dry and combination skin. Simply mix the ingredients together and apply several drops of the oil on the skin - a little goes a long way. We like to use this facial oil at night, but those with extremely dry skin may benefit from using it in the morning as well. 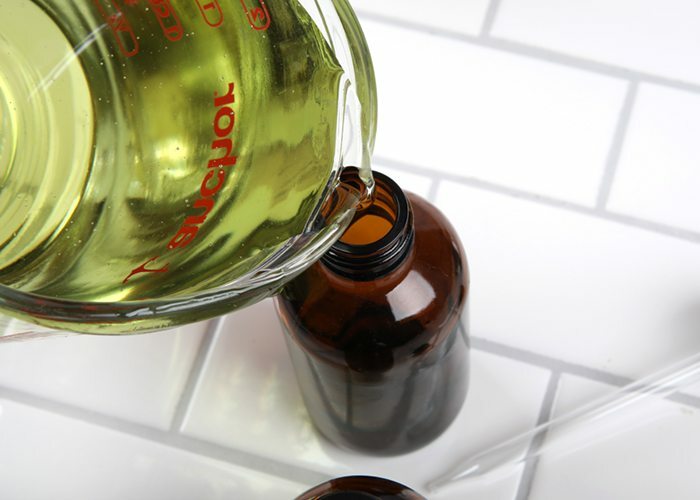 Lush Succulent Fragrance Oil gives it a very light and green scent. If you have very sensitive skin or if you prefer to create a completely natural facial oil, skip the fragrance. You can also swap it for your favorite essential oil. To package this oil, we used glass bottles from a local craft store. To give it a polished look, we applied the Squalane and Agave Facial Oil Labels. Once the labels are purchased, print them on waterproof paper and apply to your bottles. They make great gifts. This recipe is made with hydrating ingredients that are great for dry skin. 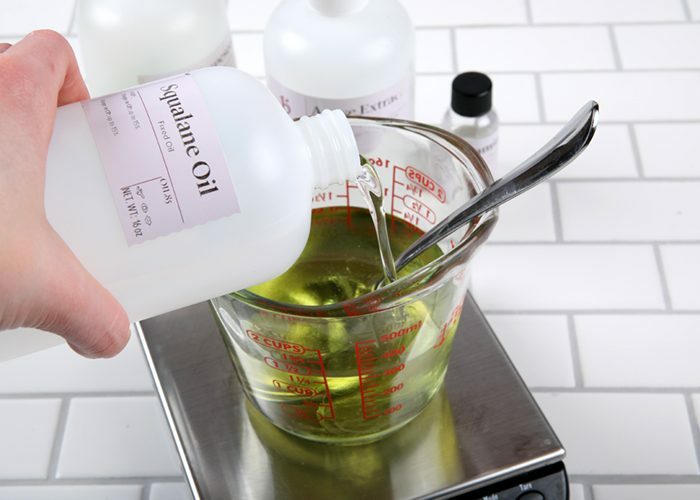 In a medium container, add 8 ounces of grapeseed oil and 4 ounces of squalane oil. Mix together. 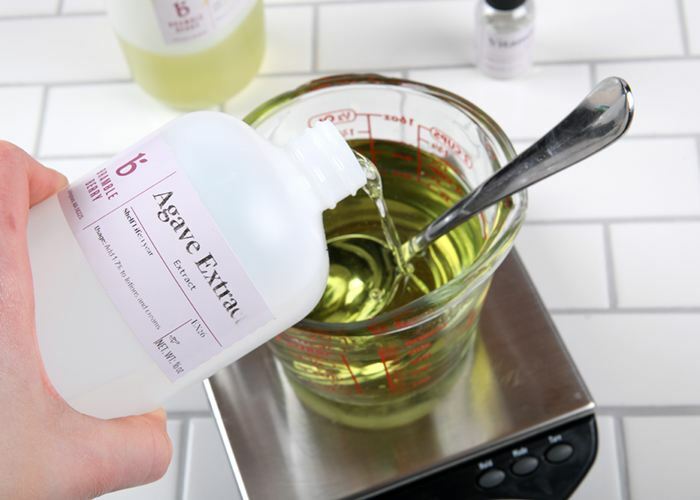 Add 1 ounce of agave extract and 0.5 ounces of vitamin E. Stir until the mixture becomes clear. 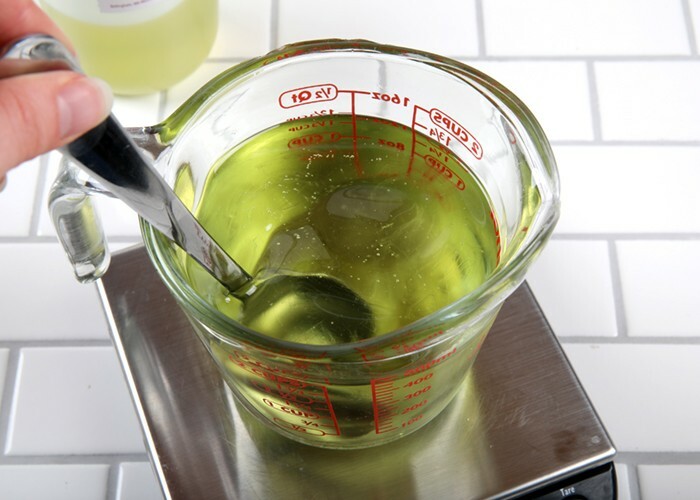 Add 2 mL of Lush Succulent Fragrance Oil. Stir thoroughly.. NOTE: If you'd like to keep this face oil natural, skip the fragrance oil or use your favorite essential oil. Carefully pour the oil mixture into the containers of your choice. To use, shake and apply a few drops of the oil. Do not rinse. Recommended for use at night.